Because pets don’t always get sick during regular business hours. 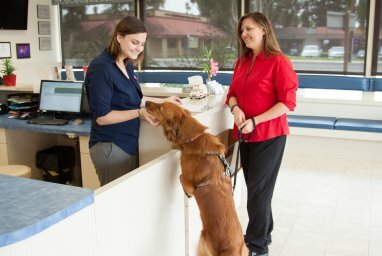 We are the Orange County Emergency Pet Clinics, and we have two locations to serve your after-hours animal emergencies: one in Fullerton and one in Garden Grove. We focus solely on providing high-quality, after-hours pet emergency care for car accidents, dog fights, trauma, poisonings, emergency C-sections, and any other pet emergency. We also provide overnight monitoring and care for pets referred by area veterinarians. We are open when your regular veterinarian is closed to ensure access to high-quality care whenever your pet needs it.